Our outstanding ability and dedication to meet critical timelines in an event focused industry distinguishes us from other companies. We are also a trusted fulfillment partner, meaning each and every shipment, big or small, gets the same attention and personal touch. We can assist you with your project with integrity, accuracy and efficiency. Examples of our fulfillment orders range from program print material, badges, ribbons, uniforms and all your required branding and event needs. Giant Tiger, Gymnastics Canada and Oil Changers are a few examples of this. Being an owner operated company, with over 40 passionate and resourceful employees our goal is to exceed your expectations. Our in-house graphic design department consists of 3 full-time graphic designers. Our in-house screen printing, embroidery, heat press and an on-site seamstress. Our warehouse and production space offers full pick, pack & ship for programs. Gadar is home to the largest decoration and production house in Eastern Ontario. We are proud to offer in-house screen printing, embroidery, heat press and an on-site seamstress – all 6 days a week. This separates Gadar from our competitors and makes us an industry leader in decorating services. This also allows Gadar to have quick turn around times on rush orders that come up throughout the year. Our in-house graphic design department consist of 3 full-time graphic designers. 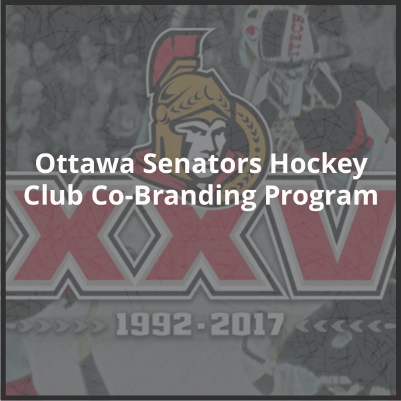 Through our extensive expertise with the National Hockey League, universities, high schools, national amateur sports and numerous corporations; we are able to ensure that your brand standard, PMS colours and logos are all met with consistency. Any artwork including logos, conversions and updates, as well as merchandise updates and online programs can be done efficiently. WE OFFER A WIDE RANGE OF PROMOTIONAL PRODUCTS FROM SPORTS UNIFORMS, GOLF AND DRESS SHIRTS, BAGS AND MUGS TO T-SHIRTS AND APPAREL. WE ALSO OFFER A SELECTION OF ECO-FRIENDLY PRODUCTS FOR GREEN BUSINESSES. Let us customize the online ordering platform for your program needs and we’ll handle the rest. Warehousing, payment, shipping and tracking are all done for you. With over 12 000 sq. feet of designated production and warehouse space, our large warehouse at Gadar allows for us to Warehouse your PICK, PACK & SHIP programs. All programs have a designated area and staff which ensures your product is verified and consistent with every order. Our Goal is to Pick Pack and Ship every order within 48 hours of receiving it so all event dates are met. With our ordering platforms and portals we receive up-to-the-minute orders that are staged for picking and delivery – a full one-stop service to distribute all materials.